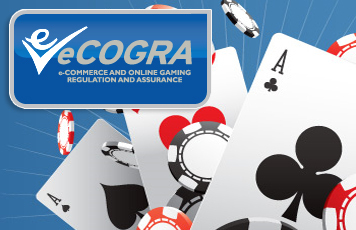 London, 20 January 2010 – PartyPartners.com, the affiliate program for several leading online gambling brands in the PartyGaming plc group, has successfully passed the on-site inspection and monitoring requirements of player protection and standards body eCOGRA. The program is now entitled to display the eCOGRA Affiliate Trust Seal, which certifies that it observes best practice operational standards of fairness and efficiency in dealing with affiliate marketers, and is independently reviewed on a regular basis. eCOGRA chief executive Andrew Beveridge said that the Affiliate Trust seal is awarded contingent on the applicant company meeting clearly defined international standards and undergoing a comprehensive on-site inspection and audit of its business systems by a professionally qualified eCOGRA compliance team. eCOGRA compliance team leader Sean Roberts, a fully qualified Chartered Accountant who managed the audit at PartyPartners, said that it had been a significant project in his experience. “This is a major and respected tier one international gambling group with top online casino, poker, bingo and sportsbetting brands, all using the PartyPartners affiliate program to manage relationships with thousands of affiliates around the world,” he said. Jim Ryan, chief executive officer at PartyGaming said he was pleased but not surprised that PartyPartners had done so well in the accreditation process. “We have a really good management team in place there, which recognises the importance of our affiliates and their contribution to our success,” he said. “The achievement of this industry-respected accreditation is an affirmation of our full commitment to operational efficiency and integrity in this critical area of our business. “The eCOGRA certification is achieved through practical and professional testing and inspection, and I am pleased that we have achieved the high standards required,” he added. “It reinforces our market positioning as a serious affiliate program giving affiliates significant revenue opportunities through a trusted system with outstanding brands.